Senior Preso for 2016 Winter & 2016/2017 Summer teams is upon us and we have much success to celebrate this season so looking forward to a great night! 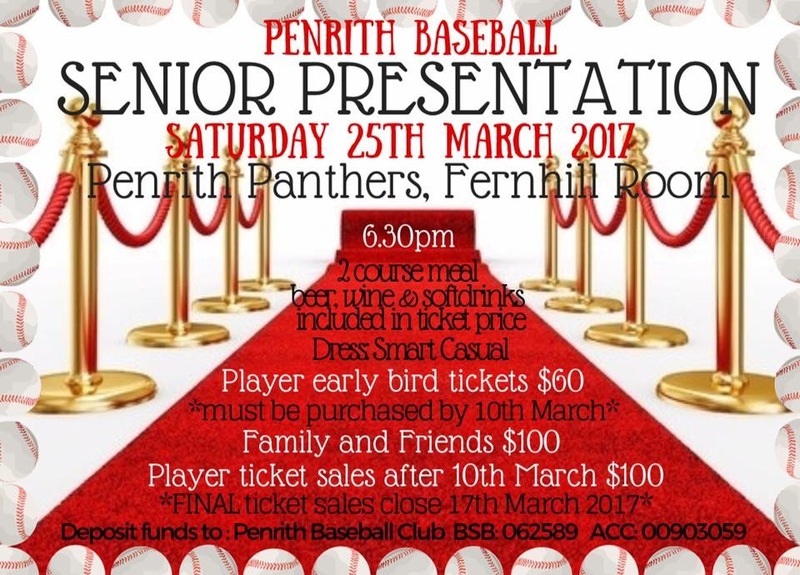 Please confirm your intention to attend by emailing secretary@penrithbaseball.com.au please also confirm once paid. PLAYERS! Don’t miss the early bird special by securing your tickets before 10th March. FINAL ticket sales close on 17th March. No Replies to "Senior Presentation- 25th March"